When it comes to interior décor, there’s a fine line between classic and cliché. With cliché designs, you get the same old-fashioned elements thrown together to create something that’s highly unoriginal and frankly, boring. But with classic designs, you enjoy a culmination of staple elements from traditional trends that are balanced in style, while staying true to the rules of yore. So in keeping with that tradition, here are 5 styles of window treatments that would look perfect with your classically designed home! Perhaps one of the more popular treatments, roman shades are designed to lay flat against the frame and when pulled up, fold nicely in symmetric folds, giving a softer, subtler look to your windows. These shades consist of just one piece of fabric that continues all the way down. Like basic drapes, these shades offer all the functionality of a typical window treatment. However, if you’re thinking of buying them for a black-out purpose, you’ll need to buy specific fabric for that, since basic roman shades don’t typically offer light filtering. Another classic choice, though more for those who like a bit of architectural character in their home design. 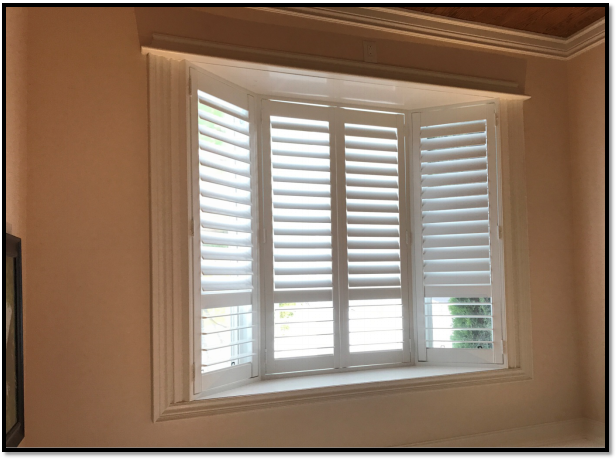 Elegant and attractive, shutters look as aesthetically pleasing from the outside as they do from the inside. 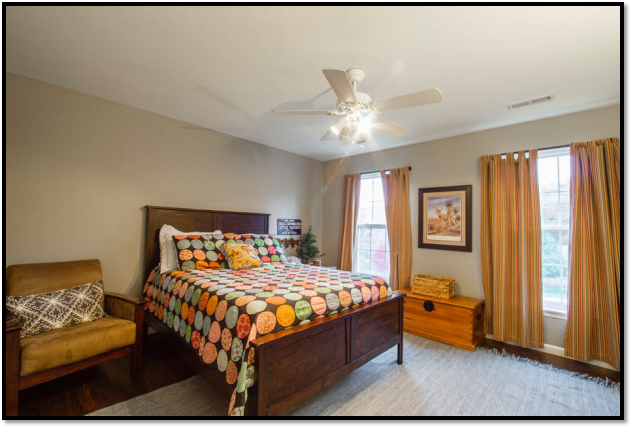 You’ll generally find shutters in high-traffic areas like kitchens, but many people have also started using shutters in bedrooms and bathrooms for the added privacy they provide. Made from PVC, composite wood material or vinyl, faux wood blinds give all the look of wood without actually costing any wood wastage. Durable, moisture resistant, and aesthetically pleasing, blinds are usually used in home offices, dining rooms, kitchens, and bathrooms. 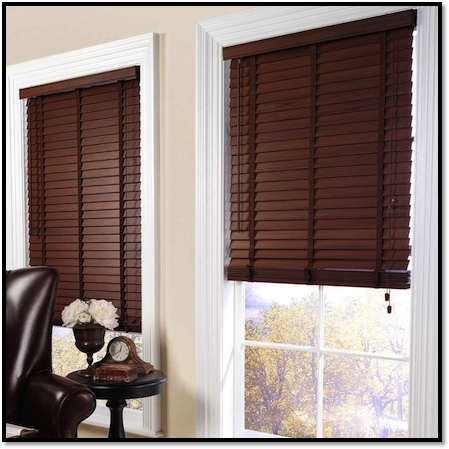 Faux wood blinds are also more affordable than other window treatment options, making their popularity all the more justifiable. Affordable, aesthetically pleasing, and discreet, roller shades go well in homes that follow contemporary and, minimal interior design themes. Their roll-up function gives a cleaner, well-maintained look, making it popular for office use as well. In addition, because of their light-filtering and blackout features, roller shades are used for privacy purposes as well. However, there’s no reason why you can’t use them for basically any room in the house. Easy to maintain and available in a variety of styles and colors, you’ll surely find any style you want in roller shades. Drapes embody style and elegance. Perfect for use in almost any room and design setting, drapes are basically the culmination of all the best features of various window treatments. In addition to their light control, privacy, and insulation features, drapes are also available in a number of fabrics, colors, patterns, and styles. Drapes can also be custom made if need be, though you’ll need to have them designed by a reliable draper to get just results. Add the Classic Touch to Your Home! Want any of the above window treatments? 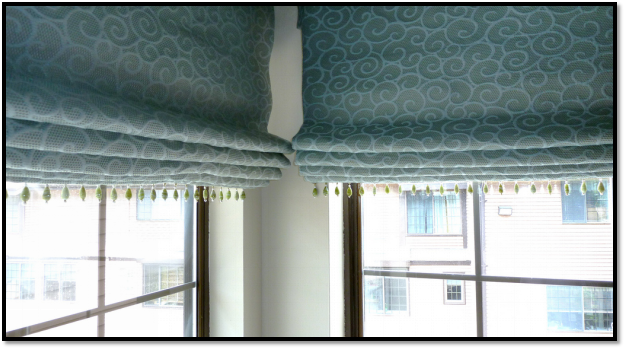 Creative Window Coverings in Southern California offers top quality treatments. From basic blinds to custom drapery, we offer design services and more! Contact us today to get a quote on your order!